To drink or not to drink soda pop? This is a big debate in health circles, and not because of sugar content or diet concerns – but fear of cancer. 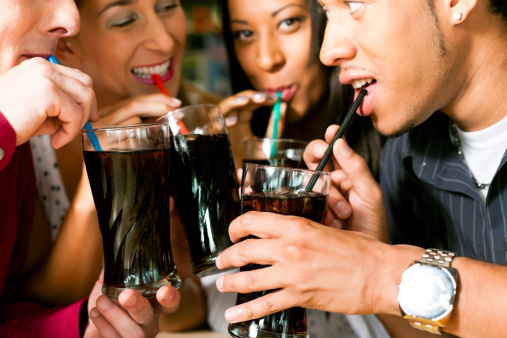 Countless soda studies have been linked to obesity. Harvard School of Public Health, for one, says rising consumption of soda is a major contributor to the obesity epidemic in the United States. However, drinking what many health experts refer to as “liquid candy” has also been linked to cancer risk. Consumer Reports, one of the most well-known product testing organizations in the world, released a report this January calling for more stringent guidelines when it comes to caramel coloring in beverages because the coloring contains a potential carcinogen. Caramel coloring is used in both beverages and foods to give them an appealing amber. Some types of this artificial coloring contain a chemical called 4-methylimidazole or 4-Mel. Consumer Reports is concerned the issue hasn’t been addressed and the chemical is still widespread in food and drink products. It also says that manufacturers could reduce the levels of 4-Mel in their products right now to reduce health risks. A federal government study conducted in 2007 showed that 4-Mel caused cancer in mice. In 2011, the International Agency for Research on Cancer stated that 4-Mel “may possibly be carcinogenic to humans.” Under California law, any food or beverage that exposes a person to more than 29 micrograms of 4-Mel per day must carry a health warning label. There is no federal limit for 4-Mel in foods or beverages, so Consumer Reports is calling on the Food and Drug Administration (FDA) to set standards. Not everyone is sounding the alarm bells when it comes to this chemical. So far, no human tests have been conducted and many in the scientific community argue that the animal testing has not been extensive enough. The American Beverage Association, not surprisingly, has come out with its own argument. Representatives say that a person would have to drink more than 1,000 cans of soda in a day in order to match the chemical exposure of the rodents who ended up with cancer in government studies. While not everyone in the scientific community is ready to call caramel deadly, some experts say more testing is warranted. The Society of Toxicology – experts who interpret studies in order to provide consumers with enough information to make good decisions – point out that dosing is a very delicate part of the equation when testing on animals or humans. The level of exposure to a chemical is crucial to understanding if there is a risk to health. According to the Society of Toxicology review of the research, 4-Mel was given to mice and rats over a two-year time span. Various doses were tested during this time period. The rats exposed to the highest dose experienced a higher incidence of leukemia, while the mice showed no leukemia. To note, the mice exposed to the highest dose of the chemical showed increased rates of lung tumors, but the rats showed no results. The Society concluded that the chemical is carcinogenic to both animals, but in different ways. The scientists call it a clear reminder that all animals, including humans, react differently to chemical exposure. The Society says these animal results are enough to warrant further tests to see if human exposure could cause cancer. Federal officials are taking the soda and cancer link seriously. Now the FDA is on board to make sure the use of caramel food coloring is safe, reviewing all information on exposure to 4-Mel. Until a federal standard is set and there is more transparency in labelling, consumers have to take matters into their own hands. Precaution is key! Look for “caramel color” or “artificial color” on ingredient lists and avoid these products altogether.